Beetles (Coleoptera) are a diverse group of overlooked pollinators, considered particularly important in tropical ecosystems. The role of the most diverse beetle family, Staphylinidae, as pollinators is generally considered minor, yet their relationships with plants are mostly unknown. Although often referred to as opportunistic visitors, it is arguable that the true extent of rove beetle pollination is underestimated given their frequency of visitation to flowers. This review comprehensively analysed the plant–pollinator or visitor interactions of the Staphylinidae and uncovered 108 well-described staphylinid–flower interactions across 27 seed plant families. 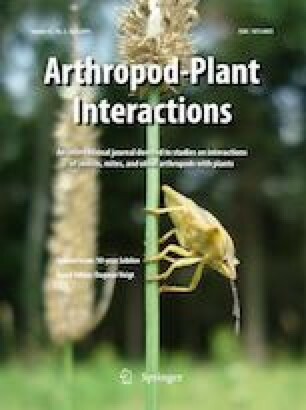 Of these interactions, Staphylinidae were considered either potential or conclusive pollinators for 56 plant species, having either a primary or secondary role in pollination. Conversely, Staphylinidae were visitors to 40 plant species with a negligible role in pollination. For the remaining 12 interactions and additional anecdotal reports, the role of staphylinids as pollinators was unresolved. Staphylinid–flower interactions were most prevalent in the monocots and magnoliids (families: Araceae, Annonaceae, Arecaceae, and Magnoliaceae) involving predominantly generalist pollination systems, and interactions were limited to six staphylinid subfamilies (Omaliinae, Tachyporinae, Aleocharinae, Oxytelinae, Paederinae, and Staphylininae). Trends in the involvement of staphylinid subfamilies with particular plant lineages were identified, associated with differences in insect habit and floral rewards. Overall this review indicates that the role of Staphylinidae as pollinators, and Coleoptera as a whole, is underestimated. Caution, however, must be given to inferring the role of staphylinids in pollination because rove beetles commonly function as inadvertent secondary pollinators or antagonists there to fulfil other ecological roles. The online version of this article ( https://doi.org/10.1007/s11829-019-09698-9) contains supplementary material, which is available to authorised users. The authors thank Margaret Thayer and the Field Museum of Natural History, Chicago, for the identification of rove beetles found in Australian Araceae, and Margaret’s correspondence and insights into staphylinid–floral interactions. Thanks also to Nicholas Cuff for providing additional pollinator data from Northern Territory Typhonium and Sandy-Lynn Steenhuisen for sharing information on rove beetle visitation to South African Protea. This study was supported by funding from the Holsworth Wildlife Research Endowment and the Australian Postgraduate Award, granted to T.D.J. Sayers, and the Hermon Slade Foundation (HSF09/07) granted to REM.